On 26 November Belarusian Deputy Prime Minister Vladimir Semashko announced that the recession in the Belarusian manufacturing sector has ended. However, Belarusian banks strongly disagree with this statement. They yearn for more financially stable corporate borrowers, especially in the industrial sector. Meantime, oil refining – currently the mainstay of Belarusian manufacturing – is under threat as Russia reduces the volume of oil it supplies to Belarus for processing. This is likely to impede Belarus's recovery from the economic recession even further. On 26 November, Vladimir Semashko announced that all indicators point to the fact that the manufacturing crisis has stopped – the growth rate reported by the Ministry of Industry has already reached 3 per cent; it is predicted to rise to more than 11 per cent next year. However, such an extraordinarily positive appraisal of economic performance in the industrial sector seems slightly premature. There are several reasons to think so. First of all, in 2015 the manufacturing sector received financial assistance from the state (in the form of of foreign currency bonds) totaling more than $500m. This sum has yet to be repaid. Secondly, due to a lack of free financial resources, the repayment of these debts will fall on the shoulders of ordinary Belarusians. The average wage in Belarus remains at historically low levels – despite several months of growth it has fallen once again and now constitutes only $379. Finally, even though growth dynamics have reversed when it comes to several industrial product items, the overall picture in manufacturing remains disappointing (see Figure 1). In October industrial production increased by 3.6 per cent compared with September – this was slightly better than expected but hardly surprising. Meanwhile, the demand for loans from Belarusian enterprises remains low due to the high cost of borrowing (18 per cent on average). If the credit market were in a different condition, banks could channel unused funds into the economy in order to break the recession. Theoretically, banks could increase their loan portfolio – they do have the money. However, the situation five years ago, when banks' credit portfolios grew by dozens of percentage points a year, seems unlikely to repeat itself in the coming years. 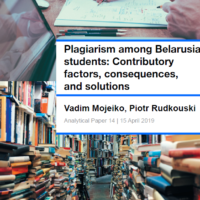 Belarusian Development Bank analysis shows that the economic downturn and deteriorating financial conditions of enterprises has led to changes in the internal instructions of the Belarusian banks prohibiting to increase loan portfolio if they do not first improve their quality. Belarusian banks do not trust corporate borrowers to repay their debts in the future, as most potential borrowers are classified as 'low-quality'. For example, in January-September 2016 the number of problem loans in the banking sector increased from 6.8 per cent of the total at the beginning of the year to 14.3 per cent on 1 October. This rise in banks' problem loans coincides with the deteriorating financial conditions of enterprises. The current economic downturn has several repercussions. First, it increases the risk for those banks who wish to raise their loan portfolio. Second, it discourages others from further risk taking. As a result, according to the National Bank, the volume of corporate loans in national and foreign currency decreased by 3.9 per cent and by 5.2 per cent in January-September respectively. Belarusian authorities are trying to find new ways to increase the financial base of budget profits. On 25 November 2016, Igor Demin, an official representative of the Russian company Transneft, confirmed that two Belarusian oil transport companies had stated their intention to increase the cost of transit for Russian oil from 1 January 2017 by 20.5 per cent. In October, Belarusian authorities had already threatened Moscow with a sharp increase (50 per cent) of the oil transportation tariff. Transneft representative Igor Demin responded that such changes would require a corresponding agreement with Transneft and the Russian government. At the moment, a 2010 intergovernmental agreement regulates the calculation of the growth rate for transit tariffs. It takes into account the preliminary predetermined volume of oil transit, which remains unknown until February 2017. According to these arrangements, Belarus has the right to increase the transit tariff unilaterally only to adjust for average annual inflation. However, the main reason behind the growth of the transit tariff remains the volume of oil reaching Belarusian oil refineries. From 2016 until 2024, Russia agreed to supply 24m tonnes of oil annually. But starting in the second half of the year, Moscow reduced the oil stream first to 3.5m tonnes (approximately 40 per cent) per quarter, and starting in October to only 3m tonnes (see Figure 2). The main reason behind these harsh measures is the Belarusian gas debt, which has already reached $281m. In turn, authorities in Minsk are demanding that gas prices be reduced and set according to their own calculations ($73 instead of $132). Belarus has promised to close this gap by 20 October in exchange for the resumption of oil supplies, but the invoice nevertheless remains unpaid. The decrease in the oil supply and the corresponding decline in petroleum product production have led to an additional 0.3 per cent GDP drop. 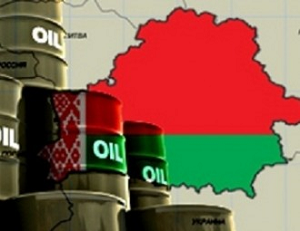 Officials in Minsk urgently need a new bargaining chip for their oil manoeuvres to succeed. They are now relying on alternative oil streams from Azerbaijan. Thus, the authorities have decided to raise the stakes in the energy dispute once again. Although such a controversial move may possibly help resolve the issue of discounted gas, it will surely not help attract new foreign investors, especially into the manufacturing sector, suffering as it is from a lack of cheap capital. Lukashenka expresses concerns over the ‘growing antagonism’ in EU-Russia relations during a meeting with a delegation from the Political and Security Committee of the Council of the EU. Recep Tayyip Erdoğan, together with a delegation of Turkish businessmen, pays his first official visit to Minsk. Belarus seeks to establish closer cooperation and attract investments from the UAE and Qatar. The VIII International Investment Forum 'Melnitsa Uspekha' in Mahilioŭ results in investment deals totaling $250m. 24,000 labour migrants came to Belarus in 2015, working mainly in construction, education, and trade. This and more in the new edition of the state press digest. Belarusian President expresses his concerns over Russian-EU relations. On 21 November Lukashenka met with a delegation from the Political and Security Committee of the Council of the EU, writes Belarus Segodnya. Lukashenka mainly focused on the ‘growing antagonism’ in EU-Russia relations. He stressed that Belarus prioritises neither the EU nor Russia, and strives to develop relations with both parties. The president also pointed out that Belarus remains the only country among the Eastern Partnership members not dealing with a military or frozen conflict. Belarus and the EU have already taken the first steps towards normalising relations by establishing a Coordination Group. Aliaksandr Lukashenka holds a press-conference for Russian regional media. On 17 November the Belarusian president spoke with more than 100 journalists and bloggers from 46 regions of Russia, reports Zviazda. The conference covered many topics ranging from media freedom in Belarus to Belarusian migrant workers in Russia. Over the last year Lukashenka has experienced difficulties in relations with Russia, primarily due to the economic crisis in the region. However, he promised that the average salary in the country would reach $500 in the next year. Lukashenka believes that Belarus has a sufficient level of media freedom. Although the state gently urges journalist to support the government, generally the official media produce unbiased materials. Lukashenka also highlighted that the government prioritises human rights and justice. Turkish president pays his first official visit to Belarus. Recep Tayyip Erdoğan, along with a delegation of Turkish businessmen, came to Belarus to discuss bilateral relations. 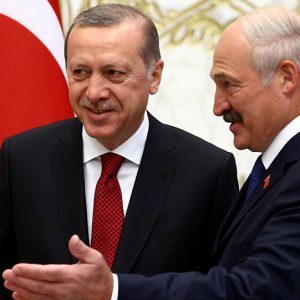 Although this was the Turkish leader's first visit to Belarus on the highest level, Aliaksandr Lukashenka affirmed that the two leaders have had ‘kind relations for almost a decade’, reports The Minsk Times. The Belarusian-Turkish forum, which took place in Minsk during the visit, attracted around 200 Turkish and 300 Belarusian businessmen. Lukashenka and Erdoğan also took part in the opening ceremony of the new Cathedral Mosque in Minsk, the construction of which Turkey financed. In a joint communiqué, the two heads of state mentioned machine building, the agricultural industry, transport and logistics, textiles, and science as priorities for economic collaboration. They also stressed their determination to coordinate their foreign policy and provide mutual support in international organisations. The two parties outlined a concrete plan of cooperation for 2016-2017. Belarus seeks investment from the Gulf Countries. Lukashenka's recent visit to Qatar and the UAE is evidence of Belarus's interest in cooperating with these countries. The strong economic and energy positions of Qatar and the UAE are the main factors motivating Belarus to establish closer cooperation and attract investments from the Gulf states, writes Zviazda. Although Qatar and the UAE invest mainly in the hotel industry, logistics, and banking, Belarus expects the two states to consider investing in other areas as well. Belarus will continue to export dairy products and machinery to Qatar and the UAE, while the timber industry and the high-tech field are two other fields in which future cooperation may be possible. VIII International Investment Forum 'Melnitsa Uspekha' in Mahilioŭ gathers around 500 businessmen, officials, bankers. Representatives of 32 countries, including Poland, Russia, China, Germany, and Japan came to Mahilioŭ on 4-5 November, writes Mahilioŭskija Viedamasci. The investment portfolio of the Mahilioŭ region proved one of the central events of the forum. As a result of the forum, the region initiated projects totaling $250 million. At the opening ceremony, permanent UNDP representative Sanaka Samarasinha noted Belarus's success in decreasing the poverty rate, although she also mentioned that Belarus needs to make improvements in its education and healthcare spheres. Belarusian Minister of Economy Uladzimir Zinoŭski highlighted the significant role of Belarus in linking the Eurasian Union with the European Union. Head of Rosatom Aleksei Lihachev visits the Belarusian nuclear power plant. He affirmed that the Belarusian NPP has a high level of safety. Rosatom recently introduced a similar system at the Novovoronezh NPP, writes Soyuznoye Veche. The company noted that it bears full responsibility for the safety of the Belarusian NPP. Currently, the Belarusian side takes care of around 70% of construction, while Russian organisations deal with the remaining 30%. In total, 5,000 workers are employed in the construction of the Astraviec NPP. Chinese lead among labour migrants in Belarus, Ukrainians second. 24,000 migrants came to Belarus in 2015. Currently, a total of 1,827 migrants in Minsk region have a work permit. According to Belarusian legislation, employers have to publish an official call for any position. If the company cannot find a Belarusian candidate within 15 days, it has the right to hire a foreigner. Narodnaja Hazieta cites expert Kaciaryna Barnukova: ‘People are afraid of migrants because they are perceived to rely excessively on social benefits. However, social benefits in Belarus remain inaccessible to migrants’. The majority of labour migrants come to Belarus from China (6,413 in 2016). Ukrainians hold the second position, with 4,754 workers in 2016. However, external migration is not the only way to fill gaps in the workforce. Internal migration of people living close to big cities should also be considered as an option.